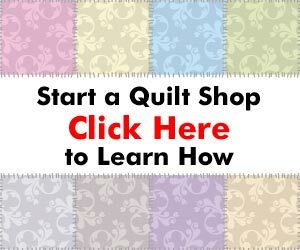 Reader Question: How would you advertise for your quilting business when professional advertising is so expensive? Answer: I agree, traditional advertising in print media, radio, tv, etc can be very expensive. I believe the way of the future for both advertising and conducting business is online. People don't use the yellow pages anymore, they use google. As such, creating or expanding your online presence is one of the better (and cheaper) ways to advertise. That being said, a website that is done up as an “online business card” will not do you much good, as the only people that will find that type of site will be people that are specifically looking for you, and already know your business and website name. Even though it takes less money than traditional advertising, it does take more time to establish a website that works effectively for the online part of your business. wow, this is great advice! It’s so true, you used to spend advertising dollars on things like printing flyers and yellow page ads, now it’s more like wordpress blogs and great reviews online, and SEO. Previous post: Welcome to the Quilting Business Blog!